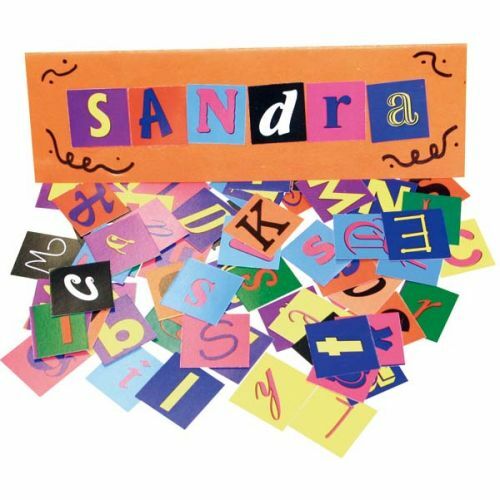 Add words and letters to arts and crafts. 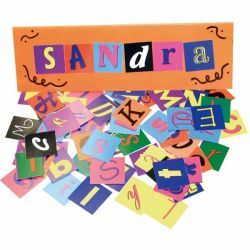 Fun letters in bright colors printed on both sides of heavy card. 1 x 1" (3 cm). 2000/pkg.